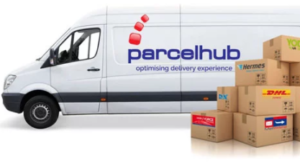 Whistl has acquired Nottingham based Parcelhub and its sister company Mail Workshop in a move to accelerate its growth in the parcels and fulfilment market. Parcelhub distributes more than six million parcels a year on behalf of hundreds of e-commerce, eBay and Amazon retailers. The business, which employs 90 people, was founded by managing director Mark Rosenberg and Steve Riley. “It is a business that shares the same values as Whistl – providing excellent customer services cost effectively and also identified a gap in the market providing solutions for clients that could not access the services and discounts available to large volume mailers,” said Whistl chief executive Nick Wells. Mail Workshop was launched in 2003 and provides e-commerce shipping and fulfilment, printed matter fulfilment, picking and packing. Parcelhub followed in 2010 and provides a multi-carrier shipping and e-commerce customer services for small to medium sized e-tailers who cannot access large scale discounts available to large volume mailers. This is Whistl’s second acquisition following a management buyout in 2015. It acquired Prism DM in July 2017.